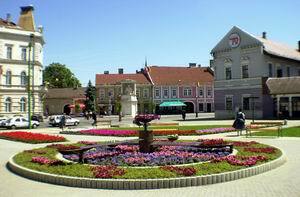 Town with county rank with a population of 189,263, the centre of Northern Hungary, the third largest city of the country. 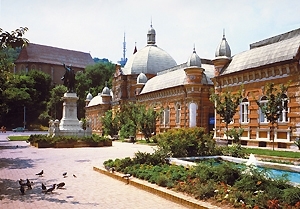 The most well- known parts of the city include Lillafüred, Ómassa, Diósgyőr, Miskolc-Tapolca, Bükkszentlászló and Görömböly; they are all popular tourists' attractions themselves. 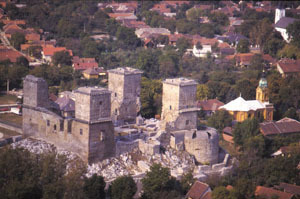 The 14th-15th century fortress, built on the site of the 13th century castle of Diósgyőr, is the most significant listed monument of the city, housing the Diósgyőr Castle Museum. Wax-figures show, exhibition of weapons, stamping works; on the week-ends, medieval tournament and archery are organized for the visitors of the Castle. Valuable ecclesiastical buildings include the Gothic Calvinist church of Avas (1410, extended in 1780), the Renaissance belfry (1570) next to it, the Baroque Roman Catholic church, the so called Mindszenti church (1743), the Baroque Minorite church and monastery (1734), the late Baroque Lutheran church (1797), the Louis XVI. style Hungarian Orthodox church (1888), the late Classicist Greek Catholic church (1868) and the Romantic synagogue (1863). Exhibition places include the Herman Ottó Museum, the Miskolc Gallery, the Central Metallurgical Museum and the Museum of the Hungarian Orthodox Church. The Baroque building of the County Hall (1727) was rebuilt in Classicist style in 1836. 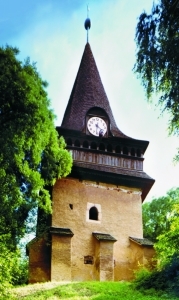 The Town Hall (1860) was built in Romantic style. Miskolc (Lillafüred) is the wonderful resort area of Miskolc around lake Hámori dammed up from the water of Garadna. The Palace Hotel is the most beautiful romantic building of Middle-Europe. 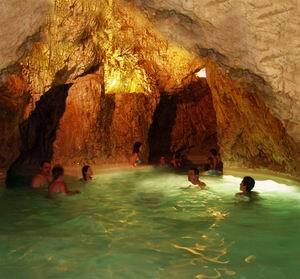 Sights of the resort also include the St. István stalactite cave and the Anna travertine cave and the water-fall famous in the poems of the great poet Attila József. Szeleta cave excavated in 1906 with finds from the culture of Ice Age man is located in Alsó-Hámor in the vicinity of Lillafüred. The old foundry of Újmassa is a highlight of industrial history from the 18th century. A 20 hectare game park presenting 57 animal species in the Csanyik valley. Miskolc (Tapolca) is a unique holiday resort of Europe, a wonder produced by nature. The unparalelled cave bath, the open-air bath of a vast water surface and the rowing lake are all in the Tapolca primeval park. The evaporating, warm, medicinal water of the cave bath with the crystal-clear air have a beneficial effect on the respiratory tracts. Tapolca is an ideal venue for holiday makers in all seasons. Outstanding events: Castle Festival in Diósgyőr (May), "Bartók+..." International Opera Festival of Miskolc (June), Kaláka Folk Festival (July), International Dixieland Festival (July), Medieval Castle Days in Diósgyőr (August). A holiday resort belonging to the region of Miskolc, near to the Hámori lake, the water of which is upswalled from that of the Garadna. Its main places of interest: the Hotel Palota (built in 1930), which has hanging garden, park, beach, waterfalls, caves.